Is there anything more romantic than a passionate moment overlooking the Gulf of Mexico? This seaside wedding was as timeless as its setting. 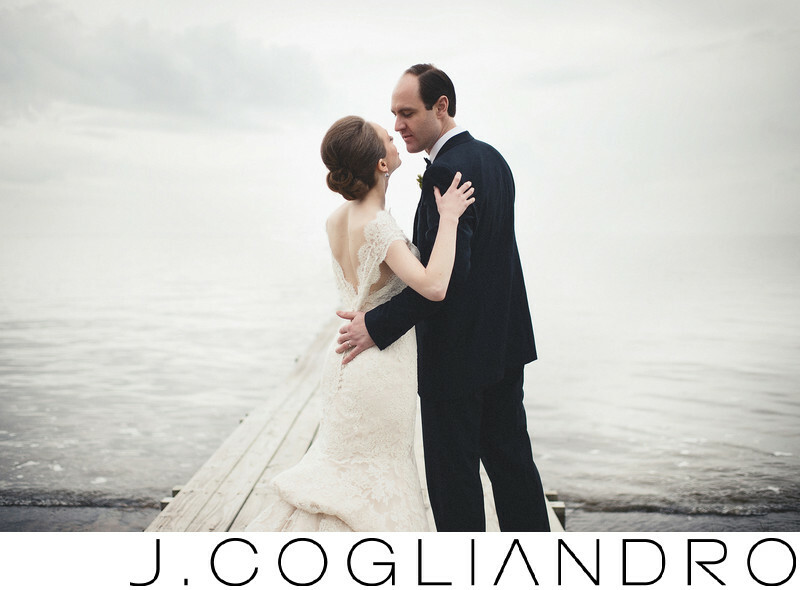 The Texas Corinthian Yacht Club provided a magical backdrop, making beautiful photographs like this one possible. The bride's fluid yet full dress blends with the water, while the groom stands out dramatically in comparison. The event was as smooth as it was beautiful. With immaculate planning provided by Katy Preisler from Keely Thorne Events, this Houston's couple's wedding day was pure enjoyment. Location: Texas Corinthian Yacht Club, 104 Park Circle, Kemah, Texas 77565. Keywords: Houston (606), lifestyle (3), photographer (3).